BHP Billiton is executing a purpose built ore car repair shop (OCRS) at Mooka, 33 kilometres south of Port Hedland. Development at Mooka has been part of BHP’s expansion plan in the area, which comprises additional berths at Burgess Point, a car dumper at Finucane Island and optimisation of Port Hedland’s inner harbour. 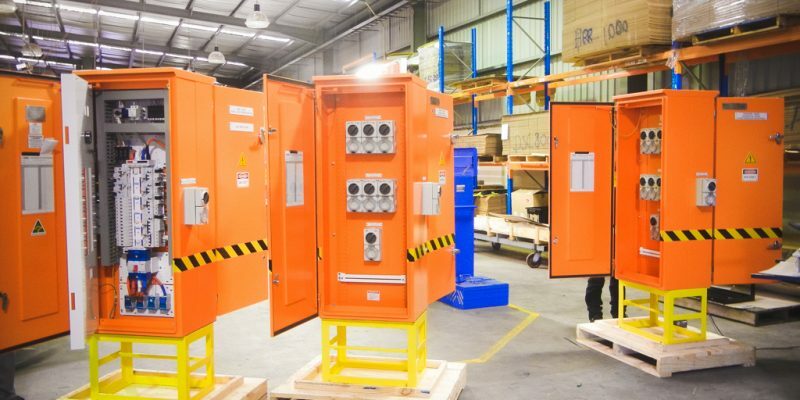 Dara Switchboards was engaged by McConnell and Dowell to design and manufacture a mining duty grade robust temporary power switchboard as per AS/NZS 3012:2010 (Australian standard for electrical installations-construction and demolition sites).